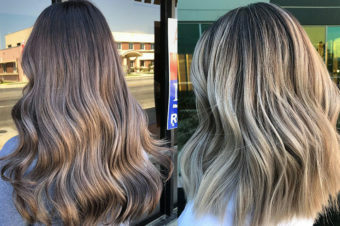 Every day we thank Instagram for introducing us to new hair heroes to follow for major inspo, but also for giving us an insight to what products people are going totally nuts for. 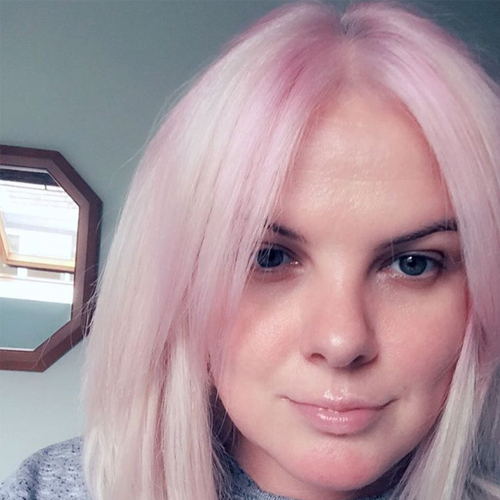 When we spied writer, Jo Hoare, post a selfie with the most gorgeous and subtle pink hue, declaring she’d done it herself at home we had to know what she’d used and how. As a bleach blonde my hair can look different every time I wash it- depending on the shampoo and the styling products I use it can be anything from a yellowy shade to a purply tinged grey but recently I’ve wanted something a touch warmer to give my pale face a bit more of a glow. 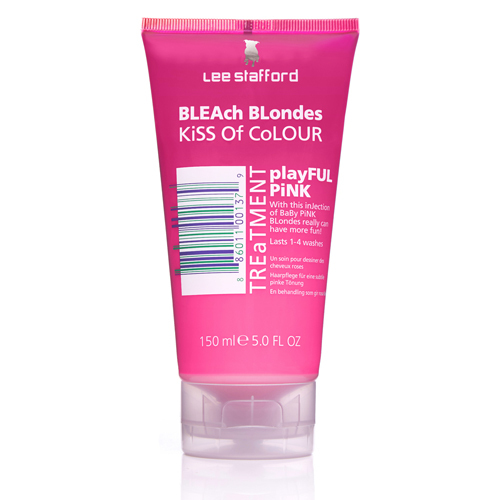 I’ve been a pale peach before and really loved it so when I found the Lee Stafford Bleach Blondes Kiss of Colour Playful Pink, £5.99, languishing at the back of the bathroom cabinet on a rainy day I thought why not. It’s pretty easy to use. Just shampoo then apply like a conditioning mask and leave for 5-10 minutes depending on how light your hair is and how much of a depth of colour you want. 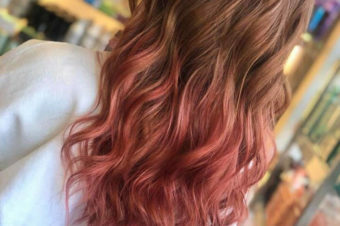 TOP TIP ALERT: add it to the top and front of your hair last as it’ll grab there more so you might get a two tone effect if you don’t do this. 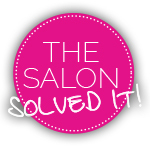 For a really professional finish you can section your hair – easier than it sounds just divide it into four bits like a hot cross bun then make sure you coat all the hair in each section. I did it sitting in the bath and any pink bits that got on the bath, tiles etc rinsed off immediately so you don’t need to worry too much about mess. I was surprised by how good the results were I’ve had temporary colour applied before and I thought my home job was nearly as good! Everyone I’ve shown has liked it- even my famously critical mother described it as pretty, and I think it’s really flattering and surprisingly anti ageing. After the first wash it has faded quite a bit but it’s still noticeably tinted. I’d definitely do it again, I used around a third of a bottle on my medium thickness, collarbone length bob so it’ll do me a few more applications.